Bitumen Emulsions-Road Construction Methods - GlobeCore Bitumen Emulsion. Bitumen emulsions are increasingly used in the area of road construction, whereby replacing bitumen. This binding material was invented in the USA, and for half a century has been successfully used all over the world as one of the materials for road construction. The asphalt emulsions serve as a binding material for a tack coat. The physical properties of bitumen emulsion are such that the substance does not require a strong heating prior to application and spreads over the entire surface of chippings with a more uniform layer than a simple bitumen. 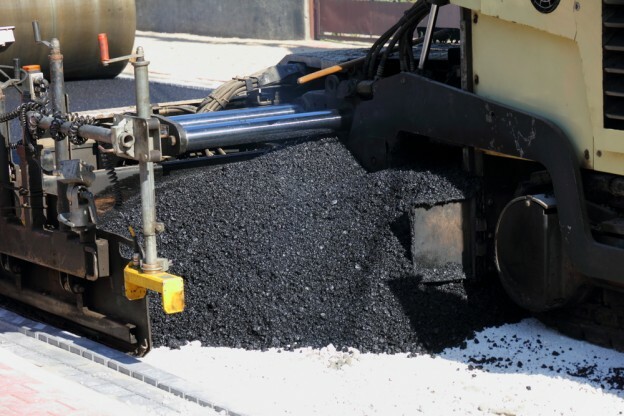 The cost of asphalt emulsion directly depends on the cost of raw materials. Bitumen emulsions in road construction are also used to create asphalt coating under the conditions of high humidity and low temperature, patching of roads based on modern impregnation technologies, cold work during restoration works, surface treatment of worn road layers, and other. Asphalt emulsion is easy to use for a multi-layer pavement. Treatment with this type of a binder is used for a textural and structural renewal of road layers, preventing a premature destruction of highways, protection from the influence of water, improving the adhesion of the vehicle tires with the road surface and enhancing the wear-resisting properties of roads. As a result of the application of bitumen emulsion, pavement gets excellent quality characteristics, such as resistance to sliding and a long service life. The composition of bitumen emulsion always includes bitumen and water in the ratio of 50% and 40%. Among the other components we can distinguish about 3-5% of the mixture of a secondary processed product of cottonseed oil with flotation tar, 1% of sodium or potassium hydroxide, or other emulsifiers. Preparation of bitumen emulsion is divided into a bitumen and a water phase. The bitumen phase is a mixture of bitumen with different additives (supplements, admixtures, diluent, and others). The water phase is pre-conditioned water added with emulsifiers to create an emulsion. This phase includes the preparation of the emulsifier from a mixture of a secondary processed product of cottonseed oil and floatation tar, while stirring them up with heated solution of sodium or potassium hydroxide until complete dissolution of such mixture. As a result, the two components are delivered through special dosers inside a mixing unit equipped with a colloid mill, having a rotational speed about 6000 rpm. Bitumen is then ground to micron-sized particles that get trapped in the bubbles of emulsion water and become suspended. The resulting product is called bitumen emulsion. The main advantages of using this product are efficient resources management and a low energy consumption. The total cost of works is reduced due to the increased serviceability of bitumen emulsion during the period from spring to late autumn. Besides this, the technology of using bitumen emulsion for making a pavement is environmentally friendly, emissions into the air are absent, as well as the risk of explosion during handling and transportation of bitumen solution. Bitumen emulsion improves elasticity, strength, adhesion characteristics of the surface layer of roads, reduces sensitivity to temperature fluctuations, and is a quality, up-to-date product of modern chemical industry.